Many businesses face the pains of expansion. How do you expand facilities quickly to capture additional revenue? Permanent construction is time-consuming, and businesses can’t always delay operations to wait for construction to finish. Off-site warehousing is one option to consider; however, the logistics of managing multiple sites adds hurdles that can cripple the profitability and success of a project. For one client, a Mahaffey Tension Series (MTS™) warehouse structure was the ideal all-weather solution for their long-term storage needs. 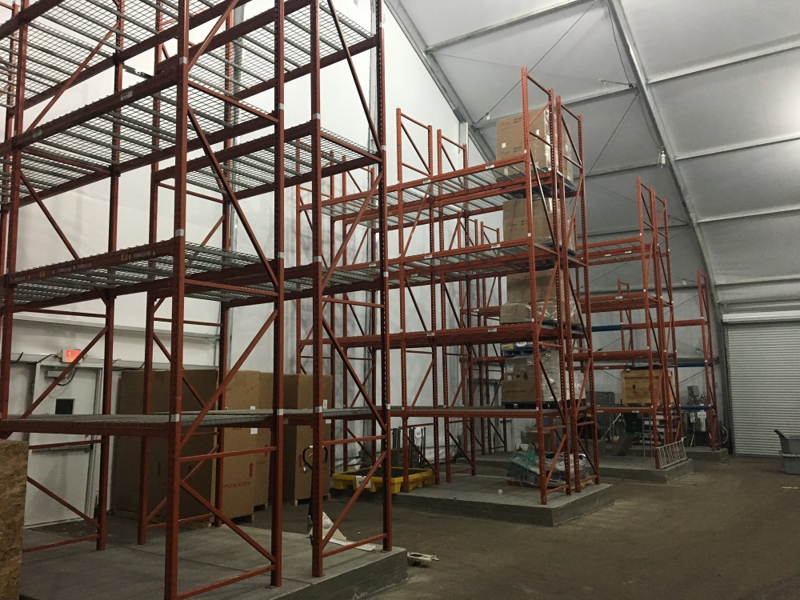 A manufacturer of heating and cooling products needed a temporary warehouse structure to be installed and remain on site for 11 months during construction of their permanent warehouse facility. The structure also needed to efficiently shed snow to stand up to Minnesota’s harsh winter weather. Interior of MTS™ warehouse structure. 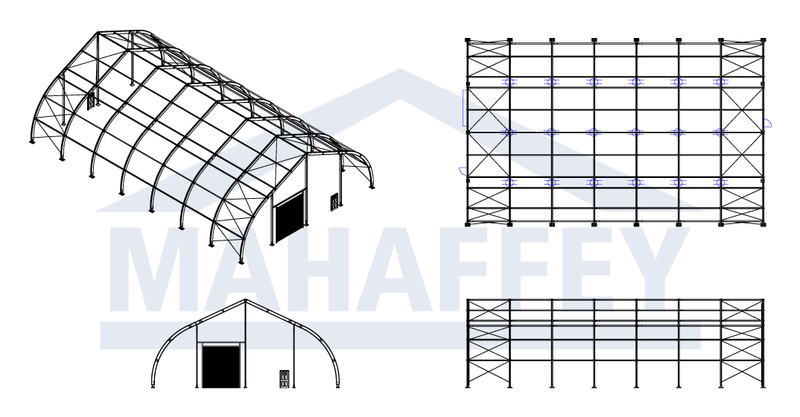 Mahaffey Tension Series (MTS™) warehouse structures are ideal for long-term use and are incredibly versatile in a variety of conditions. 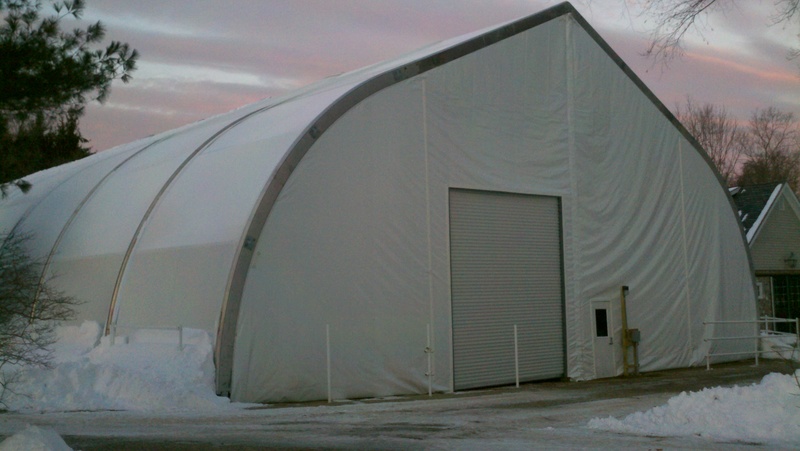 Standard off-the-shelf MTS™ semi-permanent warehouse structures are engineered to withstand winds up to 130 mph and snow loads up to 30 lbs. per sq. foot, making them ideal for the heavy snowfall Minnesota winters are known for. The peaked arch profile is designed to shed snow quickly—preventing accumulation that could lead to structure damage or failure. The MTS™ temporary warehouse structure was installed on site in three days. At the end of 11 months, when the company’s permanent warehouse facility was complete, Mahaffey’s team removed the structure from the site. Exterior of MTS™ warehouse structure. When you hear the word, “temporary,” what comes to mind? If you aren’t thinking, “tough,” “durable,” and “long-term,” think again. Temporary structures are ideal warehouse solutions for expanding product lines, seasonal needs, or for companies needing a “gap” solution when production can’t stall during construction of a permanent facility. 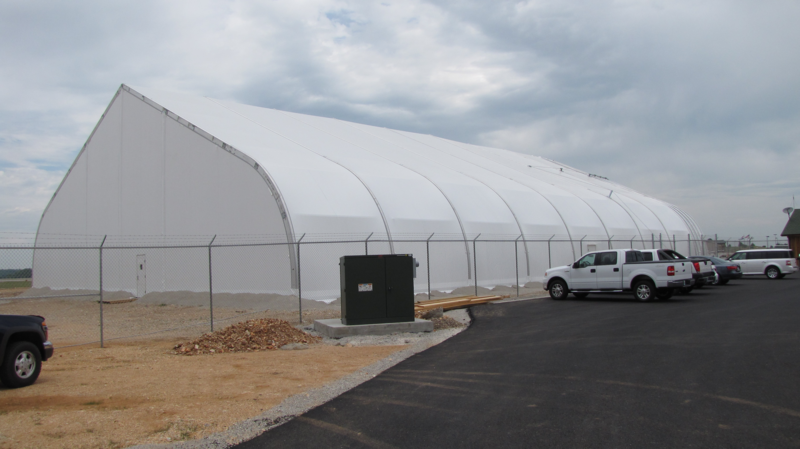 Temporary structures are ideal for long-term and semi-permanent use in a variety of conditions—even extreme ones. Looking for an ideal warehouse solution for your next project? Contact one of our expert project managers today.